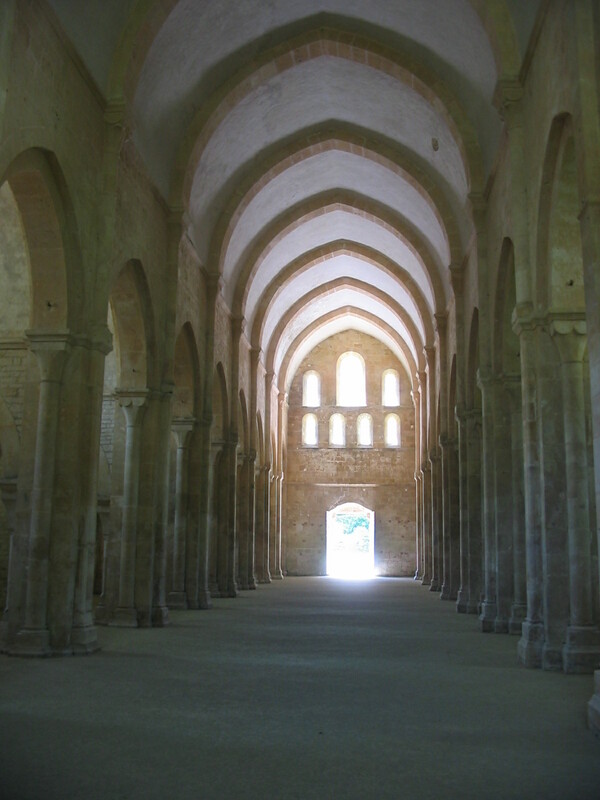 …is a Cistercian abbey in the field of the community Marmagne in the department Côte-d’Or in the Burgundy region. The famous abbey gives a good impression of monastic life in the 12th century. It was founded in 1118 by Bernard of Clairvaux and on its ground you will find the oldest Cistercian church. The abbey is a unique demonstration area, as it was closed after the French Revolution, but has not been used like many others of its kind as a quarry. Instead, it was later used as a paper mill. Only at the beginning of the 20th century it was fully restored. Since 1852, the complex is a historical monument, in 1981, it became even a UNESCO World Heritage Site. The abbey is located approximately midway between Châtillon-sur-Seine and Semur-en-Auxois, about 6 kilometers east of Montbard, in the valley of the river Fontenay. The road D 32, which goes from Marmagne to Touillon connects today the former convent with the outside world. The position corresponds to the Cistercian tradition, to establish monasteries in remote valleys at a watercourse. Since fish was considered a major component of the cuisine of the Cistercian order, to ponds made from dammed streams are famous for the appearance of Cistercian abbeys. The surrounding wilderness avoided a distraction and temptation by the worldly affairs of the nearby towns and villages. 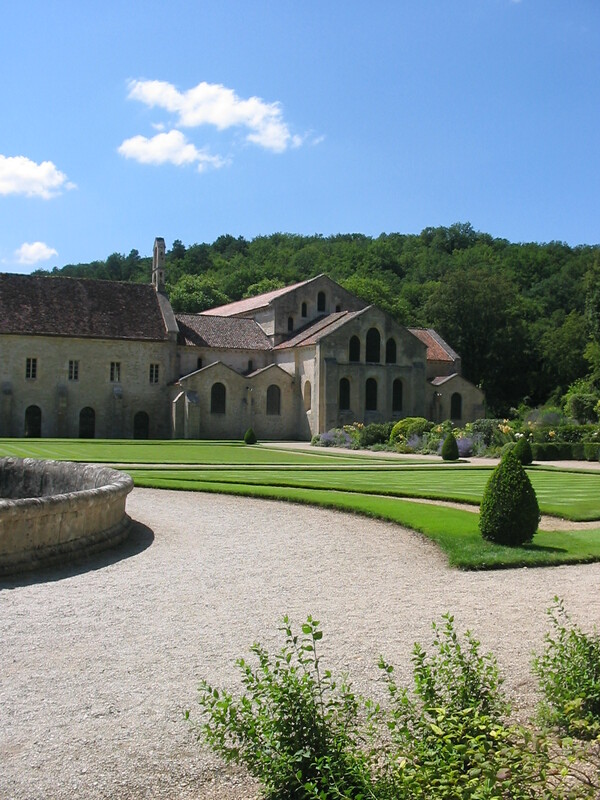 The Abbey of Fontenay is the best preserved Cistercian monastery in Burgundy and shows the former community of monks. It is divided into the areas of the church (a cruciform basilica with no upper clerestory), the monastery with dormitory, the refectory and chapter house, the abbot’s palace, the farm buildings and the monastic gardens. It is surrounded by a wall, in which a bakery, a chapel and a score keeper’s house are integrated. The Fontenay abbey shows features of Cistercian architecture, which should be considered as independent in the Romanesque architecture. Besides the square plan with controlled building arrangement the lack of ornaments and colors is characteristic. The resulting elevated strength and simplicity is typical of Cistercian architecture. Unlike to the Abbey of Citeaux there is no more monastic community, only the visitors crowd at times the gardens, buildings and workshops.